Our school features small class sizes averaging 20 students per section. Our teachers are trained in subject matter and in the art of teaching; they are warm, caring, and nurturing. We are committed to fostering the development of the whole child, to impact learning and levels and achievement. Kindle School was nationally recognized in 2017 as a “Mix It Up” Model School by Teaching Tolerance magazine and the Southern Poverty Law Center for its efforts to promote tolerance and respect for others among students. Curriculum based on NJ Student Learning Standards. Language arts: students learn to speak; listen actively; write; organize language; and read a variety of text. Math: standards-based program that embeds math concepts in real life problem solving scenarios; develop numeracy and spatial sense through activities and use of manipulatives; and performance of numerical operations. Other areas: Social studies, science, art, music, STEM/Technology, Spanish, remedial support, and enrichment activities. Our school offers a variety of clubs that are student generated and supported and staffed by our staff and supported through our Home and School Association. Instrumental music instruction is offered for students in grades 4 and 5. Kindle students participate in annual “Upstander Day” events that promote good character and tolerance of others, as well as a partnership with Rowan University education majors in support of their service learning trip to India. Our school offers before and after care through our Panther Club program. Students can attend before school 7 am to 8:30 am and after school 3 pm until 6 pm. For more information contact the main office or program coordinator at 589-2145. Teachers are engaged in all mandated professional development in addition to district wide curricular initiatives. Grade level teams also participate in self-generated Professional Learning Communities that meet minimally on a bi-monthly basis. Our school houses classes in grades K through 5, and specialized programs for children with special needs. In addition, the school and district feature a full time nurse, and guidance counselor. The district provides related services including but not limited to Occupational Therapy, Physical Therapy and Speech. Our school offers “Breakfast After the Bell” and offers a full school lunch program. Students participate in physical education classes on a weekly basis and have daily opportunities for outdoor recreation. Our school is supported by an active Home and School Association, and bi-annual grant opportunities from the Pitman Education Foundation. Many other local businesses and organizations also contribute to our school community based on specific needs and situations. Kindle School has a full day Kindergarten program; preschool age children (ages 3-4) are eligible to enroll in a tuition PreK program at one of our other elementary schools. 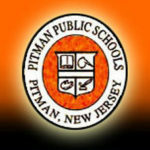 All schools in the district accept applications from non-resident students to attend Pitman schools on a tuition basis in grades K-12; contact the district office at 856-589-2145 for more information on how to apply and our reasonable tuition rates. Our neighborhood school is an established part of the community and contains an elementary library/computer lab, all-purpose room, and art and music facilities. The school has a robust wireless network that supports student learning activities and the development of 21st Century skills. Our school has participated in school climate surveys in conjunction with Rutgers University and the University of Pennsylvania as part of a five year strategic plan.